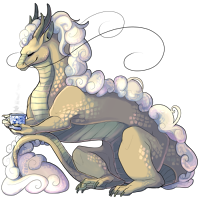 Yunnan the Custom Cream Paralix has won the Pet Spotlight! @Celene Yunnan is so distinguished yet comforting in a wise dragon looking way. I would totally love having tea with him, if I could just find his tea house. Trust me, I even went to shengui guo in explore to try and scout out where that tea house might be. Love him and your story line. Heeeey I think I used to own him. He had a different name then. :) But yay! Glad to see him finished! Congratulations! Ooooo prettyyyy!!!!! <---(What i said out loud, upon seeing Yunnan) What a beautiful pet. Love the bio and profile design, nice job on the TC too. Such an amazing Bab. Grats on the win! hmm I'm not seeing any images.... anyone know why that might be? Love the pet! Great art and lovely profile. your pet is lovely congrats . Wow, this pet is truly stunning and a great pet profile page too. Congrats! Oh wow what a lovely pet, a huge congrats to you!